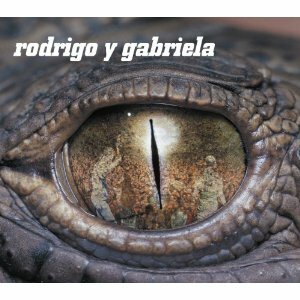 Rodrigo and Gabriela are some of the few rightful badasses in music today. They tour like crazy, and they wail metal and hard rock licks on acoustic guitars. I think their cover of Stairway to Heaven is one of the best that has ever been done. This album reminds me of listening to my dad’s Ottmar Liebert tape when I was a kid. It’s got a similar vibe, but somehow I don’t think Ottmar was raised on metal!